Fuel Economy Tuning, CO2 Reduction and Fleet Management This week the Viezu Tech Guys were asked to demonstrated our vehicle economy tuning, and open it up for independent testing and scrutiny – we of course have no problem with our working being tested, in the past a number of customers and special project clients have need to undertake independant testing and scrutiny of our tuning. We are very confident of our economy, CO2 reduction and fuel saving tuning, so its always a pleasure and interesting to take part in trials. 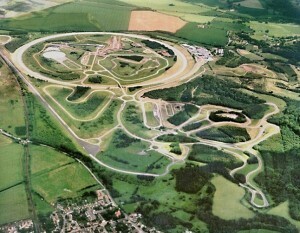 This week we were at the famous Millbrook proving ground, where our tuning was tested in combination on the high speed bowl, 40 and 60mph, and on the city circuit – total testing 2hours continuous driving Fuel was weighed, measured and mpg calculated, the vehicle was already speed limited so the challenge was set to see how much further we could improve the fuel saving and MPG after speed limiting. The results: 31.38mpg before tuning 34.88mpg after tuning 11.2% additional fuel saving on a vehicle already adapted for fuel economy and improved MPG. Fleet management tuning, CO2 reduction and fuel economy tuning are just part of the Viezu Special Project scope and services, if you are interested in saving money on your vehicle fuel bill, be it for one single vehicle or several thousand we have been weighed, measured and found to deliver.